Sydney Eastern Beaches Walk: Bondi to Maroubra. There are fantastic views to be had along this walk once only enjoyed by the adventurous, now by almost anyone. Although recent storms interrupted part of the walk, repairs have made it even more easy to explore this part of the world. 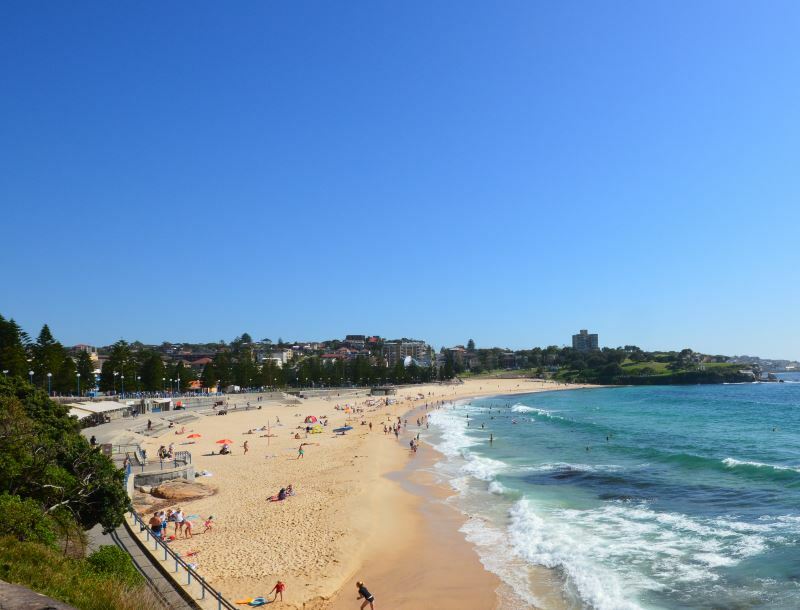 A popular way to start this walk is at the south end of Bondi Beach and head southwards, but actually it can be taken in either a northern or southern direction from any of the beaches along the way. Even Bondi at the northern end has a further northward walk to the Gap Park, overlooking the stunning gap between the Sydney North and South Heads where the ocean connects with the harbour. Most people that have done this walk have only explored to Coogee Beach, but southwards from there you can head off to more fabulous beaches, all the way to Maroubra, past Malabar and eventually to Botany Bay. To get to the South Bondi part of the walk, take the 380 or 389 bus from Circular Quay near the train station. To get to Coogee Beach, you can take the 372, 373 and 374 bus route services which all end up at Coogee. To get to the Maroubra Beach end, you can take the 386 bus from Circular Quay to the end, at Marine Parade. Covering Up - Sydney has bright sunny days so wear sun-protective clothing, especially between 10am to 3pm. Find a good SPF30+ sunscreen that is water resistant. Use shade and wear a hat, it all helps to stay looking young, healthy and beautiful as you do.